Hector Munro Chadwick (1870-1947) was a literary critic and historian, who made notable contributions to the development of philology. Originally published in 1949, this book was edited and completed after Chadwick's death by his wife, Nora Kershaw Chadwick (1891-1972), another prominent literary scholar. 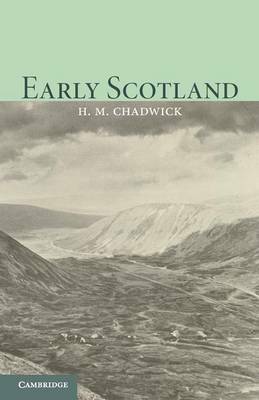 The text presents a detailed study of life in early Scotland, encompassing the Picts, the Scots, and the Welsh of southern Scotland. Numerous illustrative figures and detailed notes are also included. This is a fascinating book that will be of value to anyone with an interest in Scottish and Celtic history.